The term "cold-blooded" has a negative connotation and sometimes amphibians are perceived to not have concern for other members of their own species. Find out the amazing ways female frogs care for their young. It should be known that there are some incredibly dedicated "cold-blooded" mothers in the Wild World Of Frogs! Amphibians are ectotherms, which means they rely on the environment to regulate their own body heat. However, the term "cold-blooded" has a negative connotation and sometimes amphibians are perceived to not have concern for other members of their own species. Read on to find out all about the amazing ways female frogs care for their young! One frog mom near and dear to my heart, is the neo-tropical frog, Leptodactylus insularum! 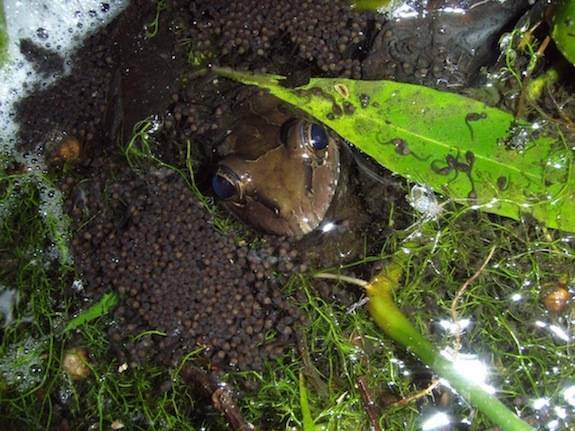 In ephemeral marshes and ponds in Panama, Leptodactylus insularum actively defends her eggs and tadpoles from predators. Here she is seen guarding her recently hatched tadpoles. There are about 3,000 of them! She will stay with them until the tadpoles metamorphose into little froglets. What a good mom! 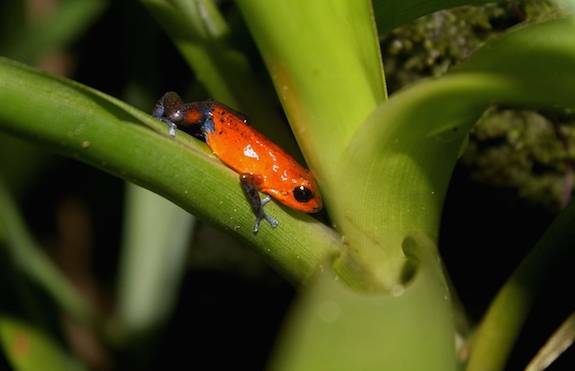 Here’s an another example of an amazing frog mom: The strawberry poison dart frog, Oophaga pumilio, has an extraordinary reproductive strategy. Females lay their eggs in the leaf-litter or on plants. When the tadpoles hatch, she coaxes them to climb onto her back. She then transports them to small pockets of water in bromeliads or other vegetation, often high in the trees. That is like if you carried a baby to the top of the Empire State Building! The dedicated mother returns intermittently through their development to lay unfertilized eggs in the water. These eggs serve as the tadpoles' primary food source. 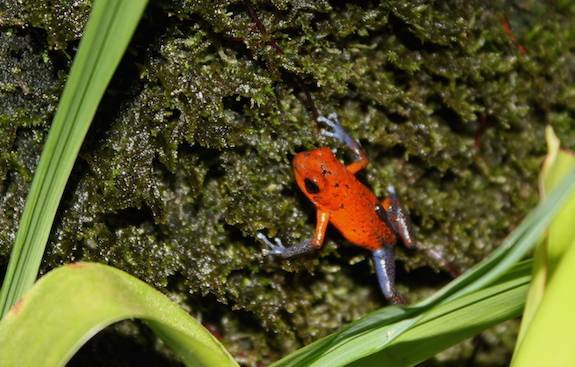 Oophaga pumilio occurs throughout the Caribbean coast of Central America. 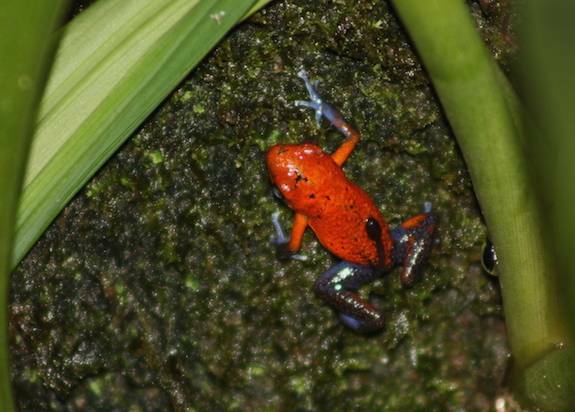 Other poison-dart frog species carry their tadpoles around as well. Amazing! Last summer in Costa Rica I was fortunate to witness this amazing frog mom carry her tadpole from bromeliad to bromeliad. Eventually she climbed out of sight as she looked for the perfect place to leave her tadpole. So cool! Thank you for your support and to all the amazing Moms out there… Happy Mother’s Day!